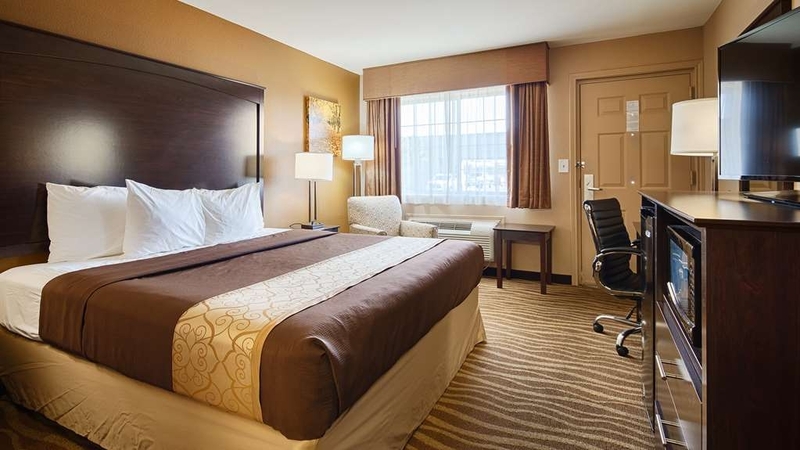 Das Best Western Taylor Inn ist ideal in Taylor Stadtzentrum zu finden. Erleben Sie ein schöner Aufenthalt in der Nähe von alle Sehenswurdigkeiten. Bestpreisgarantie und exklusive Angebote. 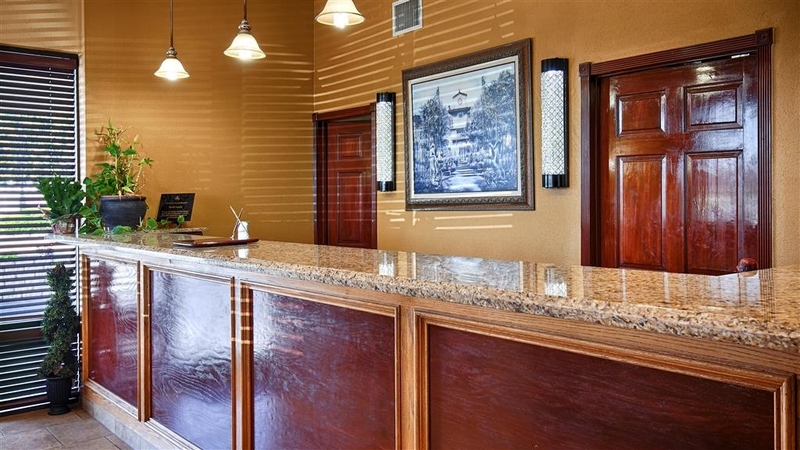 Willkommen im Best Western Taylor Inn!In unserem Hotel in Taylor, Texas, genießen Gäste nicht nur die Gastlichkeit des Südens, sondern auch eine fantastische Lage in der Nähe von allem. Wenn Sie einen Flug erreichen müssen, liegt der Städtische Flughafen von Taylor nur eine kurze Autofahrt entfernt. Unser Haus ist jedoch alles andere als ein „Flughafenhotel“. Auch zum Moody Museum ist es von hier nicht weit. Wenn Sie einen längeren Aufenthalt als Patient, Pflegepersonal oder Arzt im Scott & White Hospital oder einer anderen Klinik in der Nähe planen, ist unser Hotel in Taylor, Texas, Ihr perfektes zweites Zuhause. Morgens spendieren wir Ihnen das Frühstück als wichtigste Mahlzeit des Tages. Genießen Sie jeden Tag Ihr kostenloses Frühstück, das beliebte Optionen wie heiße Waffeln, frisches Obst sowie Müsli und Cornflakes umfasst. Angrenzende Zimmer stehen für Gruppen und Familien zur Verfügung und machen Ihren Aufenthalt so angenehm wie möglich. Restaurants liegen ebenfalls in der Nähe, sodass Sie mühelos köstliche texanische Grillspezialitäten probieren können. Für längere Aufenthalte stehen Mikrowelle und Kühlschrank in allen Zimmern bereit und sorgen für Komfort wie daheim. Selbstverständlich sind luxuriöse Betten und saubere, komfortable Zimmer bei uns stets garantiert. Das Wohlbefinden unserer Gäste ist uns sehr wichtig: Bei uns genießen Sie stets höchste Priorität. Wie können wir Ihren Aufenthalt zu etwas ganz Besonderem machen? Von geräumigen Zimmern bis zu einem herzlichen Empfang – unser Personal macht jeden Aufenthalt zu einem glanzvollen Erlebnis. Nutzen Sie Ihren Aufenthalt komplett aus, und unternehmen Sie ein paar Wanderungen auf den zahlreichen lokalen Wanderwegen. Es gibt verschiedene Wanderwege in Taylor, ideal für jedes Fitnesslevel. Alternativ können Sie auch die Space Caverns von Georgetown erkunden oder das Museum in der Nähe unseres Hotels in Taylor, Texas, besuchen. Ganz gleich, ob Sie Arbeit oder Vergnügen in diesen Teil des „Lone Star State“ bringen, hier finden Sie vieles, was Sie unterhält. Wissen Sie nicht, wo Sie beginnen sollen? Lassen Sie sich von unserem freundlichen Personal Tipps und Empfehlungen geben. Buchen Sie Ihr Zimmer im Best Western Taylor Inn. Wir wünschen einen schönen Aufenthalt. I was not familiar with the area, so I was nervous at first staying here because of the doors being outside. But it's in a great location! Very secluded. And I felt safe! Breakfast and WiFi were great!! I recommend staying here if you are in Taylor! Dear Valued Guest, Thanks for the stay at the B/W Taylor Inn and the positive review. Glad to note that you liked the location, customer service, and breakfast. It is our privilege to have clients like you. For us,​ customer satisfaction is the best reward for whatever we offer. We look forward to welcoming you again soon!!! Best Regards, Hotel Manager. Everything about this place was average.Breakfast was eggs, sausage, juice, coffee, etc. Ending at 9:amExcept, the morning after New Years Eve the manager kept the breakfast going.We enjoyed talking to other guests until after 10:00 amIt made the trip memorable. Dear Valued Guest, Thanks for staying at the Best Western Taylor Inn and sharing your experience through​ the review. We continuously make efforts in upgrading our hospitality and guest comfort. It is a pleasure to serve guests like you and your comments shall motivate us to better our hospitality. Hope to see you again soon!!! Regards, Hotel Manager. "Wasn't Great but Wasn't Bad"
The hotel wasn't disgusting but it wasn't clean either. A small section of carpet in our room was wet, no idea why so we kept our shoes on. Beds were small but not to hard and not to soft, pillows were a little firm. The AC/Heater had a musty smell. Bathroom, only three towels were provided, shower pressure was okay, plenty of hot water. Coke machine is located on the ground floor. Breakfast: cereal, waffles, breads and pastries, funky precooked scrambled eggs, seasoned potatoes and sausage. Coffee, juice and water. We had a room facing the street so it was noisy. We heard every car that pulled into the parking lot, doors closing and street traffic. Maybe the rooms to the backside of the hotel were quieter. The lobby smelled of incense and/or deodorizing spray, so much to the point that when we walked outside to our vehicle we could smell it on our clothes. We probably wouldn't stay at this hotel again, (full-size, not queen beds were just too small for our family of four) but the staff was friendly and helpful. Dear Esteemed Guest, Greetings from the Best Western Taylor Inn. We are very sorry for your experience while staying with us and these issues are being addressed and we are doing our absolute best to assure nothing like this happens again. We hope you can give us a second chance to make it right. We appreciate your feedback and business. Sincerely, Hotel Manager. Quiet, clean, and convenient for visiting my kids in Taylor. Adjacent restaurant has the best fajitas. 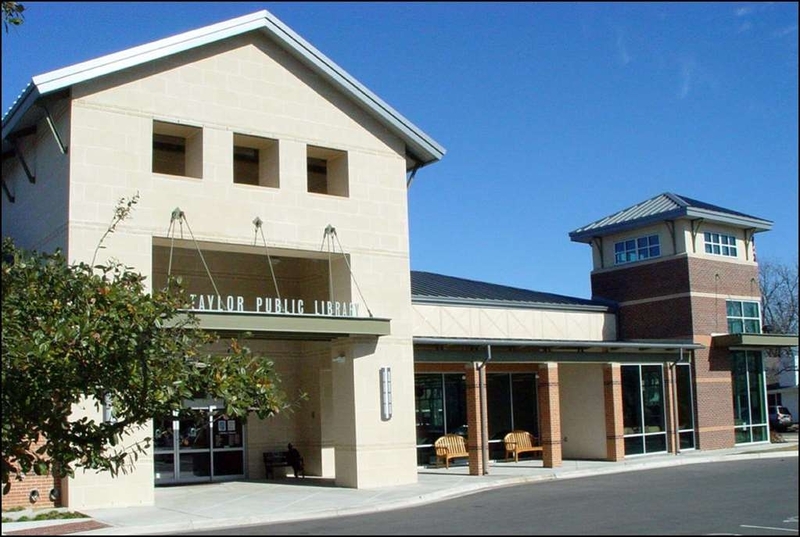 Easy to find and easily accessed from SH 79. very convenient to Texas State Highway 130 Austin bypass. Hello Guest, Greetings from the Best Western Taylor Inn. We have noticed your feedback and thank you for the positive comments. 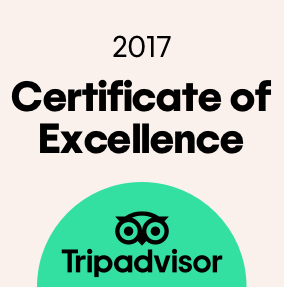 Your reviews are important to us to improve our hospitality further. Customer satisfaction is important to us. Sincerely, Hotel Manager. The hotel was very clean and the staff was friendly. We were in Taylor for a family reunion and so we had several rooms there and everything was nice...and the pool was crystal clear. We will definitely stay here again. 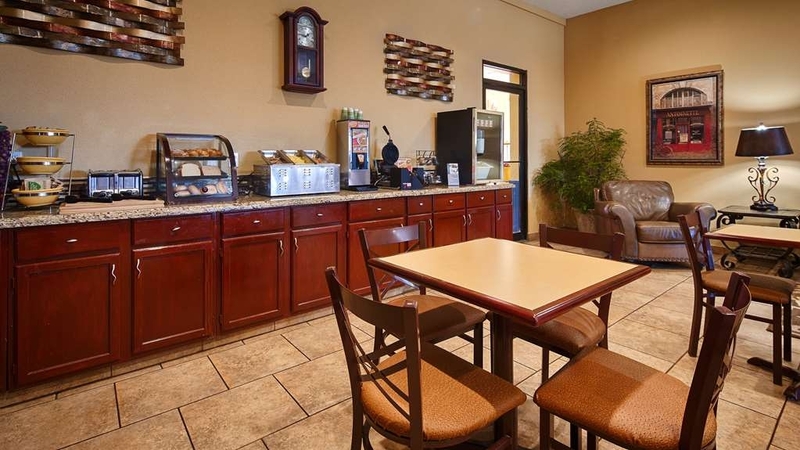 Best Western Taylor Inn is located for easy access to or from downtown Taylor, Texas.. I met with friendly and courteous staff at registration and check-out.. Spacious rooms with all amenities were clean and refreshing. Parking was more than ample. I recommend staying here a quiet, restful evening or more. Hotel is decorated above most and is spotless. Owners really take care of guests. Breakfast has been greatly expanded since my last stay. The better breakfast made the room cost seem reasonable along with the continued outstanding service. This is best BW I have stayed in. "Stop over on a weekend"
Room was not as clean as stated in previous reviews. Cob webs and dust on most objects in room. People outside on second balcony cooking on small grill and playing music load when we arrived at 7:30 pm after long day of driving. 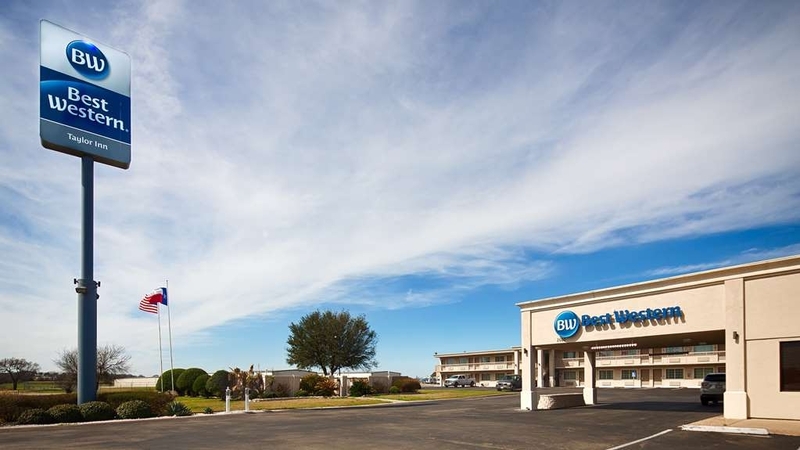 "MY Stay at Best Western Taylor Inn, Taylor, TX." Cleanest motel Ever. Staff members were proficient and did everything possible to insure that you were taken care of while a guest in their facility. Breakfast was outstanding, well prepared and the serving area presentable and maintained Very Clean. "Average hotel, not so great customer service"
I stayed here for work a couple of months ago. Nothing extravagant about it... Room was decent and clean and front desk staff was very nice. I would have given a much better rating if I hadn't encountered one MAJOR issue! On the last day I was there I noticed I was missing personal belongings from my bag/dresser area. I never left the room with my stuff, I looked all over just in case it fell or was moved when my room was cleaned. I found nothing and decided to speak to the front desk agent about it. Between that time and a few days later as my wife and the hotel manager talked about the situation and what happened and how it would be resolved... nothing happened! My wife was told the house keeper denied TAKING my stuff but action would still be taken and at some point she was told I would be reimbursed for my missing items. Since then contact was lost, I never received a call back or any sort of reimbursement or product replacement from the hotel. I was basically just forgotten about! With that being said, everything else was fine about the hotel but as for my family and I... We won't be bringing any business or recommending this place to anyone. You can have a great place and I know things like this happen sometimes but there has to be some sort of policy on how to handle situations like this when things are STOLEN from your customers! Dear Guest, Thank you for staying with us and for bringing your concern to our attention. Such incident had never happened in the past but we will take your concern seriously and investigate it further. We'd like to discuss more about the situation and make things right. If you wouldn't mind contacting me directly at the hotel, it would be greatly appreciated. We're looking forward to speaking with you and working toward earning your business back. Sincerely, Hotel Manager. I was returning from a trip in deep South Texas, needing a room for the night, found this lovely place on US 79 in Taylor, TX. This BW is small in comparison to others but it has undergone recent updating, new paint, beds, decor..etc. It truly is a very nice place. It also has a restaurant attached to the main office building. The food is great and the pricing is right. No gouging here. If you are planning a trip through this area, you should consider staying here. I will stay there again and it will be my go to place when in Taylor Tx. I came to visit my daughter and the hotel gave me personal space. It is not a high end hotel and cannot be judged by that standard. 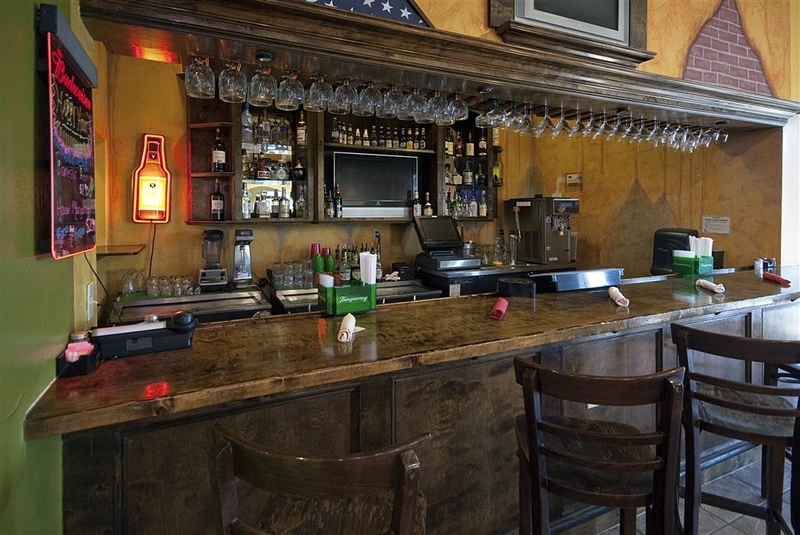 It was clean, quiet, and comfortable and the staff was extremely nice and accommodating. The breakfast featured eggs, sausage, buscuita and make your own waffles. Just stayed at the Best Western Taylor Inn this past Friday through Saturday morning. My family and I voluntarily evacuated our hometown last minute and headed north, when we heard Hurricane Harvey turned into a Cat4 Hurricane. The fine folks at the BW Inn had everything ready for us when we arrived! Not only was this place clean, it even has a restaurant called Masfajitas attached to the office building. Fantastic food, margaritas, full bar. 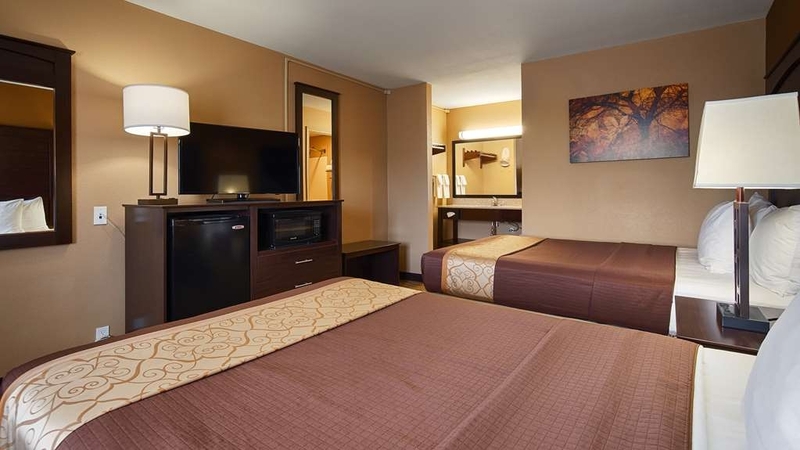 Our rooms had a larger-sized refrigerator, flat screen tv, and really comfortable beds. The next morning, they had a full breakfast with sausage and eggs, waffles, etc. We were leary of driving home in the middle of a hurricane, because we didn't want to be stuck with all of the flooding. We waiting until 1:00 to depart when conditions were okay, and the Inn did not even charge us for another day! So thankful! If we ever have to evacuate again, this is where we'll be staying! I recently made my second visit to the Taylor Inn. I spent four straight nights, visiting family in Taylor. The Taylor Inn is not a modern hotel but I don't want to say "old." It's a throwback hotel that was standard in the 1970/80s where the room doors face the outside. It's well maintained, inside and out. The room was clean and the bed comfortable. The Wi-Fi worked well and satellite TV was good. I never saw any pests. The breakfast was acceptable but it was free so you get what you pay for. The Mexican restaurant, Masfajitas, attached to the front desk is the best in Taylor; very good. While I was there, the parking lot was filled with work trucks, but these guys were as quiet as church mice; too tired to get rowdy. The hotel just outside town next to the near-deserted airport and convenient access to US 79. I paid about $85 per night; just about right. I hope they keep this retro hotel as it is and not replace it for the sake of newness. Next time I'm in Taylor, I'll stay at the Taylor Inn. 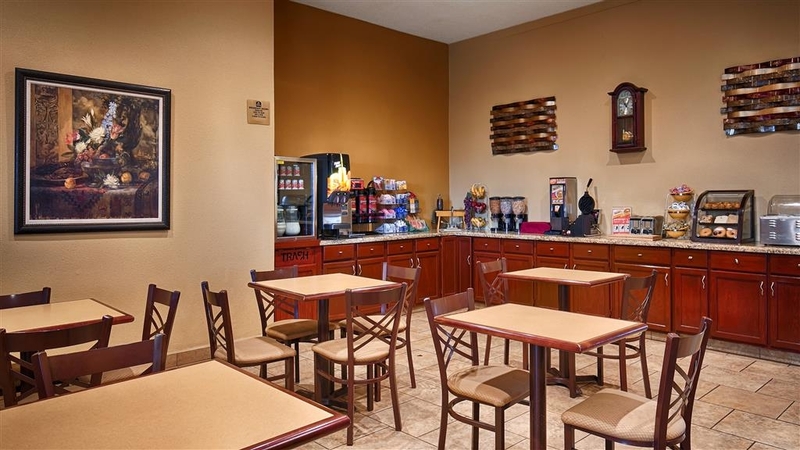 Have stayed at many Best Western Hotels and the Taylor Best Western was one of the best!. Great Mexican Restaurant next door also! Breakfast was always ready and the outdoor pool was perfect. Free chocolate chips cookies at the front desk was nice. From the outside, the BW looks like a dated 40 year old motor inn. The rooms, however, appear to have been updated in the recent past and were comfortable. The wifi worked fine and the breakfast was good. The staff was friendly, helpful and efficient. After the morning crew leaves for the day, there is merely one person manning the whole place. That wasn't a real big deal as I didn't have any requests but when I went to the outdoor pool it was in need of some serious skimming. Since the net was hanging on the gate, I just did it myself. A vacuuming was needed also but it wasn't too bad, maybe half a days accumulation. We made the best of it. The pool is good size. All in all, not a bad place to stay which is good because there's not many options in the town. Room was clean and tidy. They graciously let us check in a couple of hours early. But for the price ($132) it was not worth it. Our room, 204, never cooled and was just tolerable despite being on high the entire time with curtains pulled. A couple of residents sitting outside their doors constantly, smoking and drinking (Beer in brown paper bag). Breakfast was minimal. I've never seen eggs in such uniform color folded over like that. The sausage was edible, potatoes were fine. None of it was even warm though. This hotel is overpriced compared to other hotels with similar amenities. 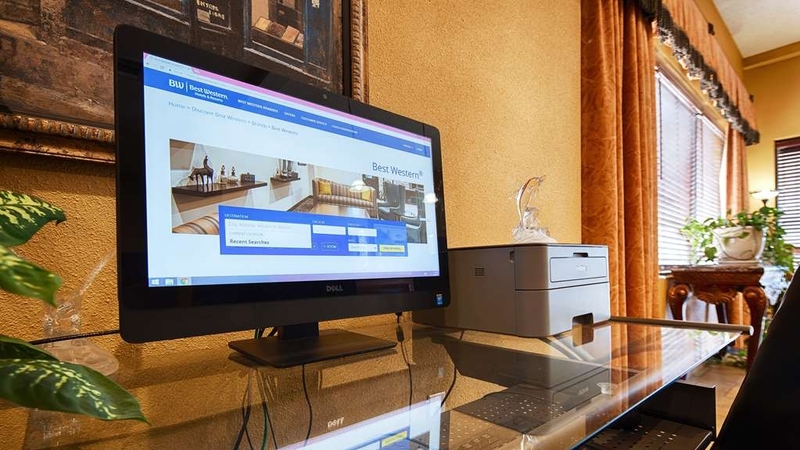 Have stayed at nicer hotels with better amenities for less money. Wound not fair so well if other hotels of same quality were available in this area. 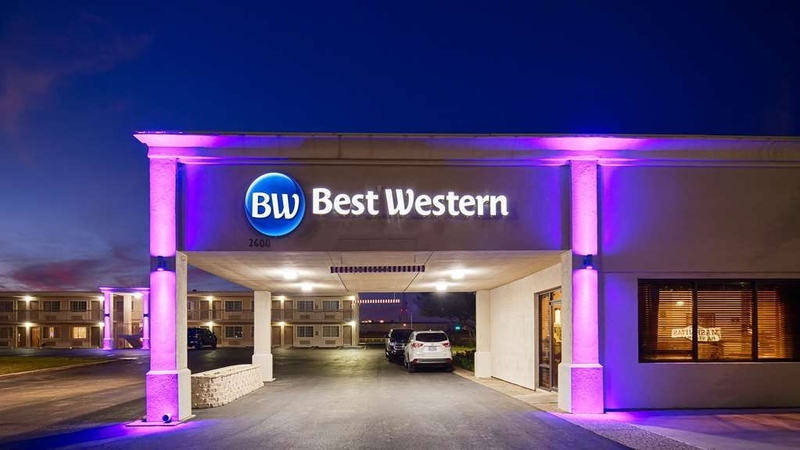 "One night stay while traveling through Texas"
We picked Best Western Hotels due to their promotion, (gift card and earn free nights). We found the rooms clean, bed comfortable and the breakfast of better quality than most! This Best Western had an attached Mexican Restaurant that had good food. It was great to relax after a long day of traveling. "Excellent motel and a great Mexican restaurant at the same location"
I really enjoyed my stay at this motel. Very close to where my meeting was and after a long drive and getting checked in, there was a fabulous Mexican restaurant right through the lobby door! A couple of margaritas and a great meal added to a nice, clean room. I was impressed! Stayed here again last weekend for a mini family reunion. Husband/wife owner/operator very friendly and accommodating as usual. Room (1st floor) was updated, clean, and comfortable. For a short stay in the Taylor area this place is perfect. The only negative comment I would make concerns the bed. I agree with other reviews that it's too soft and dips in the middle. Nice place to stay, staff was very friendly and helpful and room was nice and clean. Would definitely stay here in the future. Anyone looking for a nice hotel at a decent price should consider this hotel. The entire staff from the Managers to the Housekeepers are very courteous. Everyone is dedicated to the customer in assuring you have a pleasant lodging experience. I have stayed at this Best Western location for a number of years and highly recommend them to anyone. Excellent rooms, staff....I would recommend this hotel to anyone in the area. It only gets better each year. Wonderful manager and he will go out of his way to make sure you get the rooms you need and the comfort you want. "Edge of town in Taylor"
Nice small well kept BW property, not the fanciest but not a need to be. 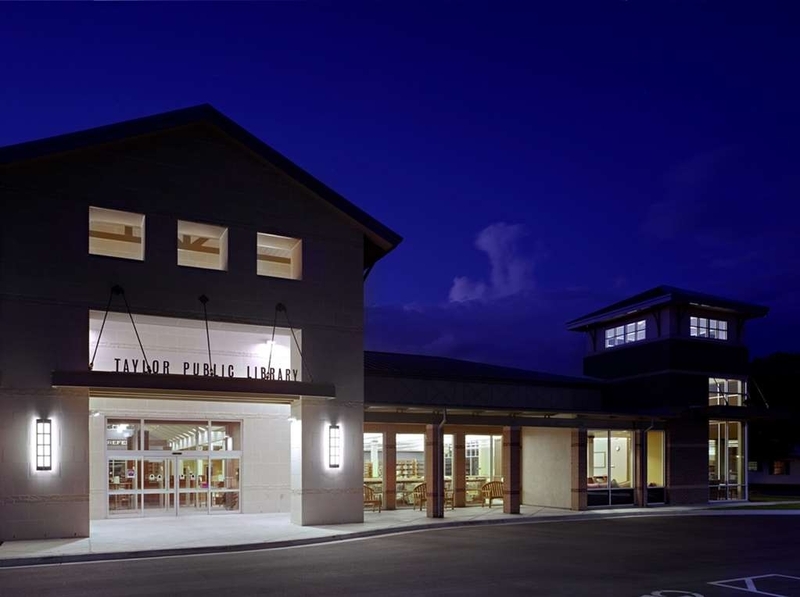 Texas Farm country is every where around and Taylor is a large rural community with Ducks as the high school mascot. 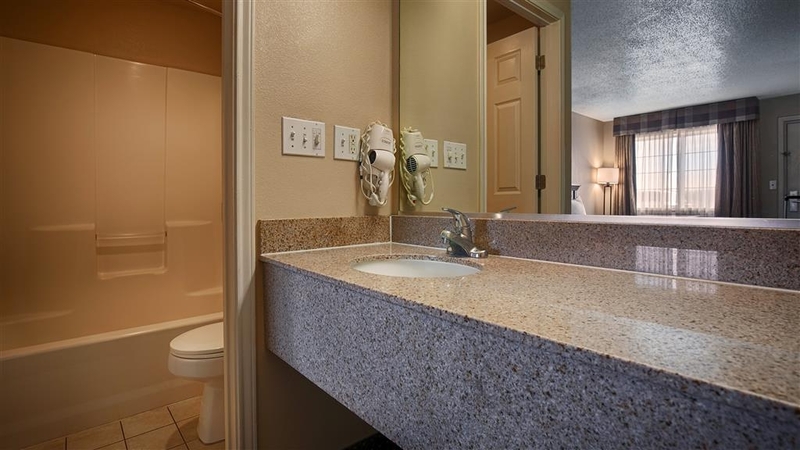 Rooms are relatively spacious with a very comfy bed, good linens in the bath, a pool that is open til get this, 11:00PM, an extra hour to tire those kids out. A good mexican restaurant is right next door. AC works good, nice TV, fridge WITH freezer, micro wave, good Wi-Fi, what else you need? 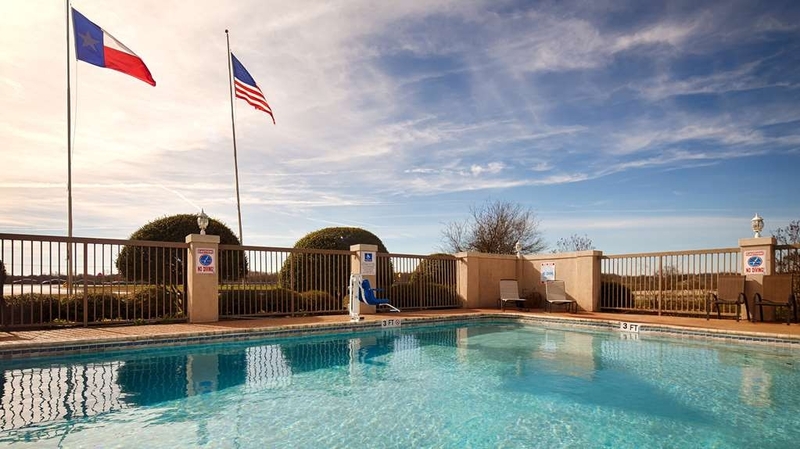 Stop in and take a look, grab a room and get some rest by the pool and in that comfortable bed. Staff is very attentive and friendly. 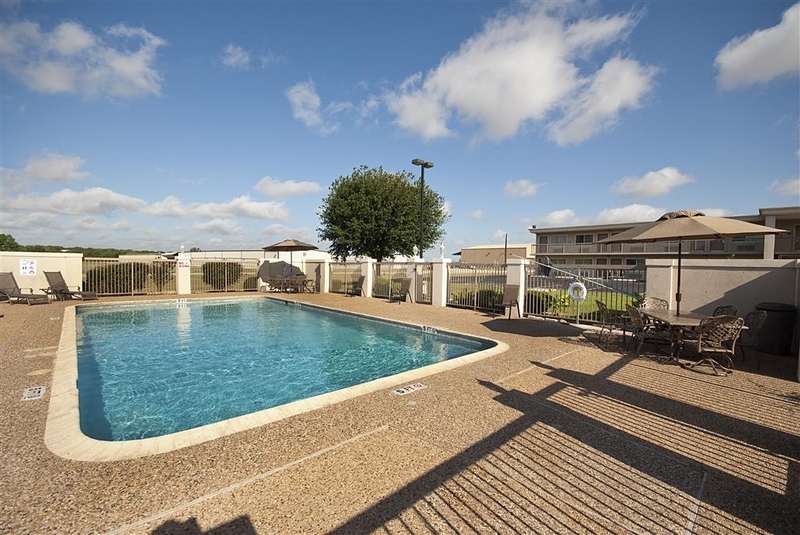 "Best Hotel in Taylor, Texas"
This hotel is nice, clean and convenient to Hwy 79. The continental breakfast was pretty much what you'd expect. 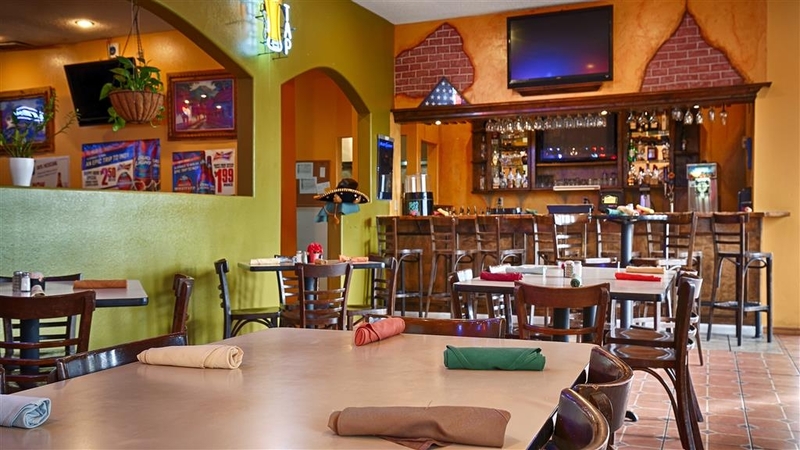 The hotel is located next to a great Mexican food restaurant. The Best Western is definitely the safest and best hotel in Taylor, Texas. We book this place last minute and got a great rate through TripAdvisor booking so I was very happy about that. 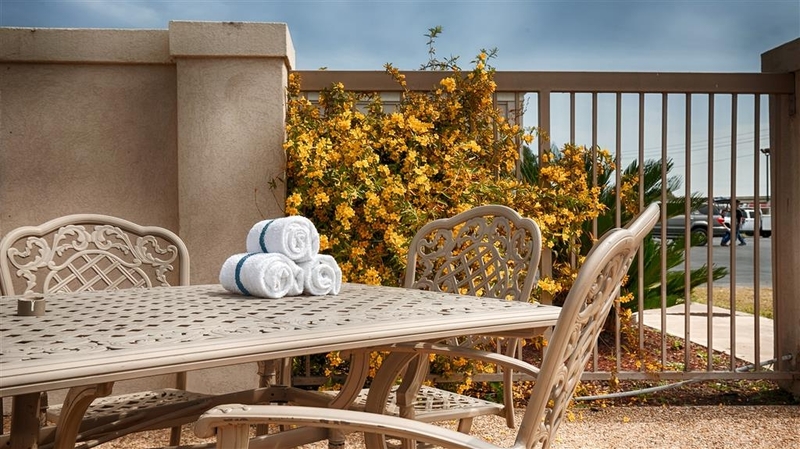 The place was close to the freeway but also in a nice spot to relax and enjoy your stay. Front desk staff was very nice and friendly. We enjoyed a nice quiet time by the pool and also great dinner at Mas Fajitas (hotel restaurant) which seem to be a popular spot with locals as well. Overall, great relaxing stay in a small town close to what we needed. Will book it again! I had a very pleasant stay even though it was just for one night. The room was very clean with all that I needed like fridge, microwave, hair dryer an coffee maker. I did take advantage of the free breakfast which was very good. The girl at the counter was very friendly and smiled all the time. Pretty good for a Monday morning! Room Very Clean and Service was Very Good. Price was reasonable. I Would stay at this location again, Since it was close to the Location I was Doing Business at. Clean Restroom and Clean sheets on the Bed. 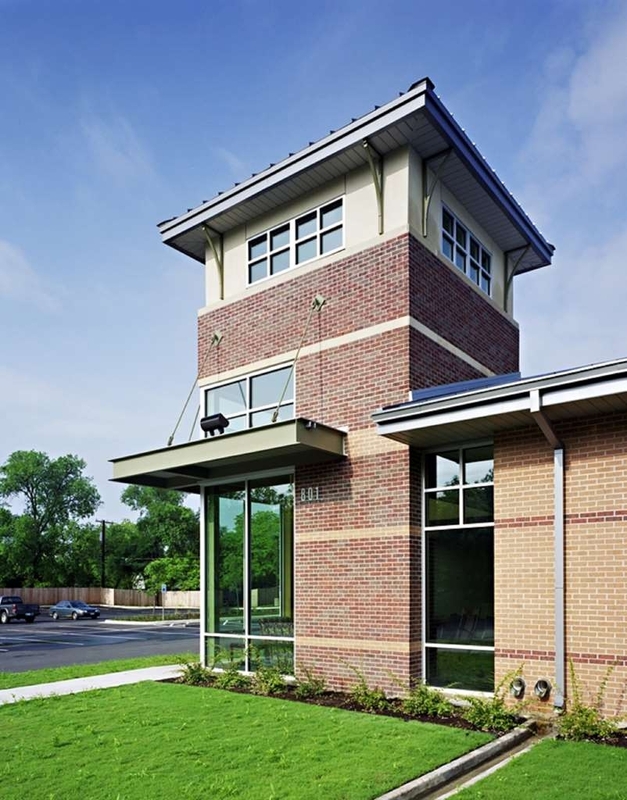 Very New Facility, located by a local airport in the City of Taylor Texas and close to major Highways. A Pleasure to stay at. 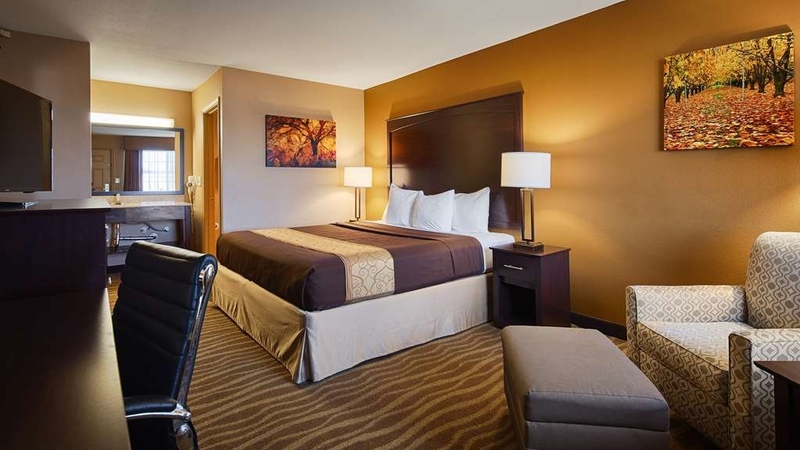 "Clean, Carpet & Damp Smell"
Nice people that run this Best Western hotel ., OK for quick stay,,, bed and bathrooms are clean but a damp carpet smell, maybe from A/C unit, very musky, If this bothers you-- not your place. We checked out early since we could not tolerate it. Go find better hotel in Taylor... good luck otherwise, or stay on the East side of Austin if have to visit Taylor, Tx. I would recommend this motel above all others we have previously stayed in. These people go well above the usual in doing what ever possible to provide anything you need even though it is not provided with your room. Very helpful and nice to meet people like this while on the road far from home. Clean room, very friendly staff. Will stay again when in that area. The beds were very comfortable. The shower had plenty of water pressure. Breakfast was good and had plenty of options. The location was easy off & on Highway. Enjoyed our 2 night stay. Room was nice-bed was excellent-as are all Best Western beds-one of the reasons we stay at Best Westerns. Breakfast was good-my husband was impressed with the real eggs, sausage and biscuits and gravey!! Taylor is a nice little town with lots of cute shops and many good restaurants. 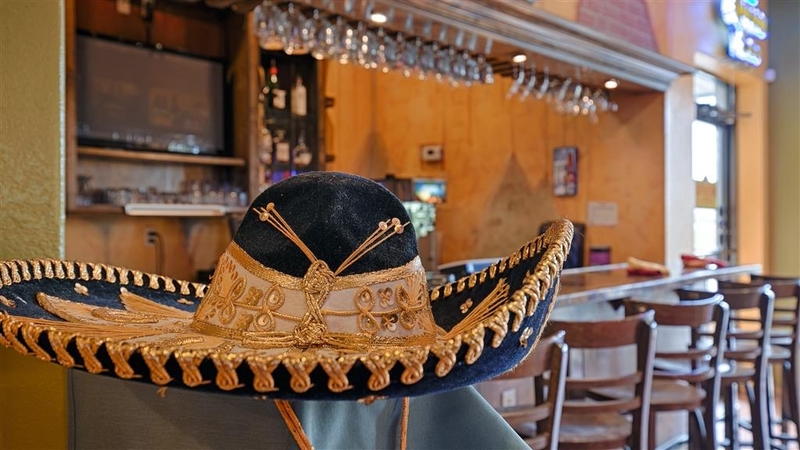 Try the Mexican restaurant on the Best Western property-it was excellent!! It was a very good stay-will stay again when we come this way. "Good Place to Stay in Taylor"
Easy to find and right down the street from old downtown. The owners were very nice and friendly. We stayed in a downstairs room and were told that all the down stairs rooms had been recently renovated due to a flood they had 7 months back. I believe it, it was nice, clean, updated. Had a very comfortable overnight stay. The bath towels could use a little more fabric softener. This was not the first time that I have stayed at this location. Owners have put many improvements into this property to keep it up to very nice standard, but it was the first time that I was somewhat put out with service to this customer. I received room key and was at door to room for entry and the outside handle did not seem like it was connecting and consequently took about 10 to 12 tries of sliding key card and trying to get handle to unlatch door with other items in hand from vehicle. It got real frustrating real fast, finally it caught and got door open. From then on I could not close the door when going to vehicle to move items into room, clothing etc. I reported the door to staff at desk when I was settled in to room, they said maintenance person be up shortly to see if it could be repaired, nothing happened, called again after a couple hours when I was getting antsy about wanting to take a walk, again I was told someone would come up, I quit waiting at 10 PM, wasn't happy that I could not leave room due to the fact that I did not know if I could get back in or not. Everything else was up to normal good to excellent standards, clean, nice bath linens, comfy bed, nice TV, fridge with freezer (important to me), great place to stay. If someone is not going to do what they say, I can take the truth, like we can't do anything about it right now with an apology, hey it is no problem for me but if you tell me one thing and it does not happen, it becomes a lie, those do not hold favor with me. This was probably the only door on the property with a problem, so just be sure to ask if you get room # 210. Breakfast was good and had all that most others have. Good value, good location. Would stay again if in the area. Would recommend. Rooms were clean and nicely updated. WIFI was fast. Lots of channels on the TV. We ate at the restaurant, food was good and the waitstaff was friendly. I was pleasantly surprised with this Best Western in Taylor! It was very nice and very clean! The price was very reasonably as well. If you have work to do in Taylor and don't want to drive into Hutto, Round Rock or Austin this is a great choice! It has also been recently renovated. "Depends On What You're Looking For"
And if you're just looking for a reasonably priced, clean, updated, comfortable and safe place to stay while in the Taylor area, this is a great place. The staff is very friendly. A great location with easy access. Even the 'free' breakfast isn't too bad compared to the typical motel breakfast. It is a small place, and cars are parked about 5 feet away from your room, so it can get a little noisy at times. But if your there at a non-peak time, this is usually not a problem 'cause there's hardly anyone else there, which is good. "Weekend get-a-way with the family"
This hotel was so accommodating in having our family gather for a weekend getaway. We have stayed here before but it was before the recent flood which caused the need for all the rooms to be remodeled. We were pleasantly surprised at all the modern upgrades. The rooms were very clean and neat. Enjoyed having a fridge and microwave since we had kids. 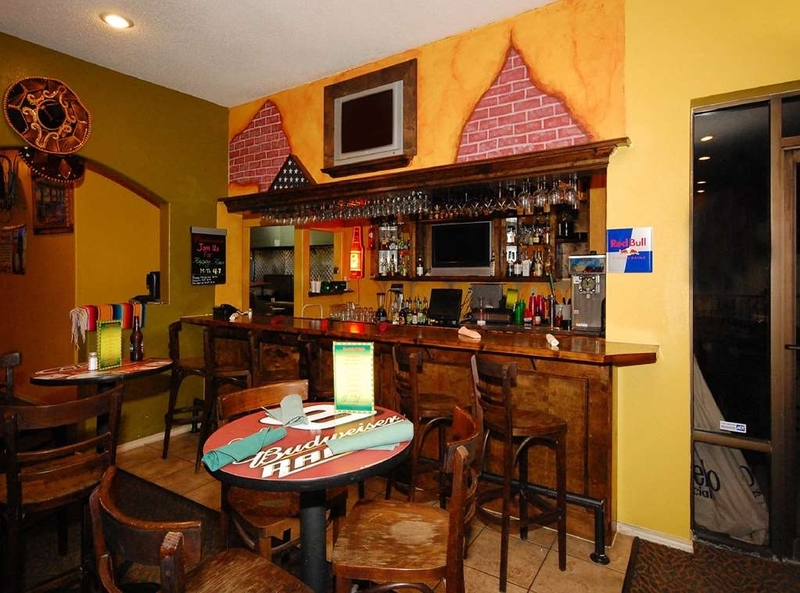 We recommend dinner at the adjoining restaurant MasFajitas, especially on Friday nights with family karaoke. These are good hearted folks both at the hotel and restaurant. Worth the money investment. "The ONLY hotel we recommend in Taylor, Texas"
We had family visiting from out of town to celebrate our daughter's first birthday. We contacted the owner to request a block of rooms. Sunny was absolutely amazing and accommodating. He worked with us to reserve the number of rooms we needed and met the accessibility needs of our guests. 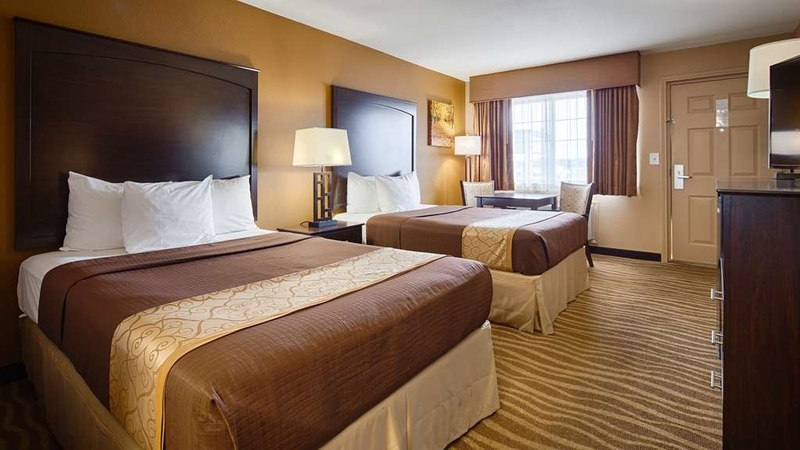 Our family raved about the rooms on how clean and comfortable they were. They specifically enjoyed having a refrigerator and microwave, not to mention the hair dryer and iron (without having to call and ask the front desk for one). My family were happy campers but my husband and I were happy patrons because the cost of the rooms were affordable. This is the ONLY hotel in Taylor and the surrounding areas that I would stay in or have my loved ones sleep at. You get more THAN what you pay for. Everything was nice, comfortable, and well-kept. The amentities were ample - refrigerator, microwave, extra coffee packets, etc. Additionally, the bed was comfortable and so were the pillows. The hot water was very hot too and was much appreciated. "OK stay, despite some annoying noise!" 'Special needs' boy knocked on the door at 1AM looking for Momma, then trains (similar if somewhat less loud than the one in 'My Cousin Vinny') came through twice the first night. Room was satisfactory but all the furniture and ventilation system were old. Nice front office people and OK breakfast, and though the TV did not work perfectly, front office people made adequate adjustments. Still, a bargain for the area, where most prices on hotels are double this location. The rooms are nicely remodeled and we'll done. Don't let the exterior fool you, nice rooms. Owner was very friendly as well, worth the time to stay here. It is cricket season, so I had some visitors the second night, but not a big deal. Owner changes rates according to how he feels at the time. Not friendly at all, room was OK except for the noisy a/c unit. Internet is a joke. Good luck finding hotels in this area that are decent. The restaurant next door does have good Mexican food. "Good choice for lodging in a town with scarce lodging"
This motel isn't a five star hotel, however, for a quick night in a town with nothing else around, it works fine. The room are clean, the management friendly and attentive, and the swimming pool large and clean. The free breakfast offerings were excellent and very fresh. One negative is that the air conditioning units blew cold but not cold enough. One problem encountered was that the maid entered our room while we were away early in the morning, stripped our beds, and left the door unlocked and open. All of our belongings and valuable were in the room as we had not checked out. This was brought to the manager's attention and was dealt with immediately. I have no doubt that this problem will not happen again. There is a very nice Mexican restaurant on the property with an extensive menu. 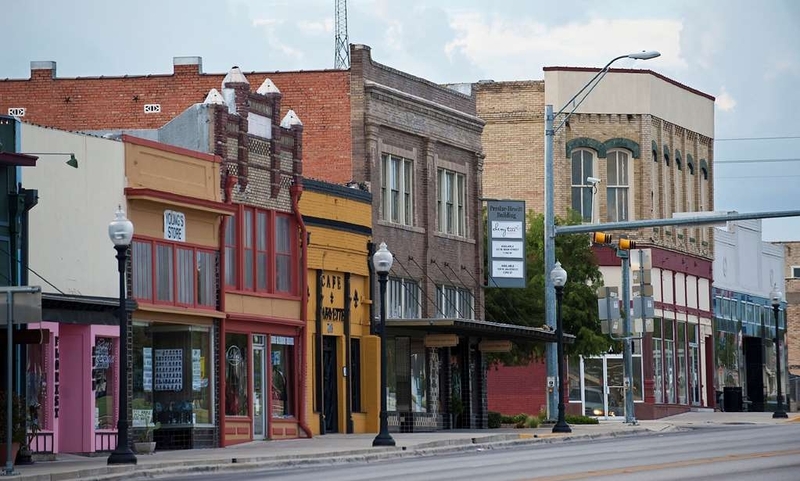 In addition, the downtown Taylor area is a ten minute drive. all rooms upstairs,no elevator! renovating downstairs rooms with no previous knowledge of renovations on website. made me PROUD to be a DIAMOND member! got the usual I'm Sorry! I can't reccommend this as a good stop for senior travelers! We have used this motel for several years. The staff has always been courteous and helpful. The rooms, lobby, and pool are always immaculate. Breakfast is superb. 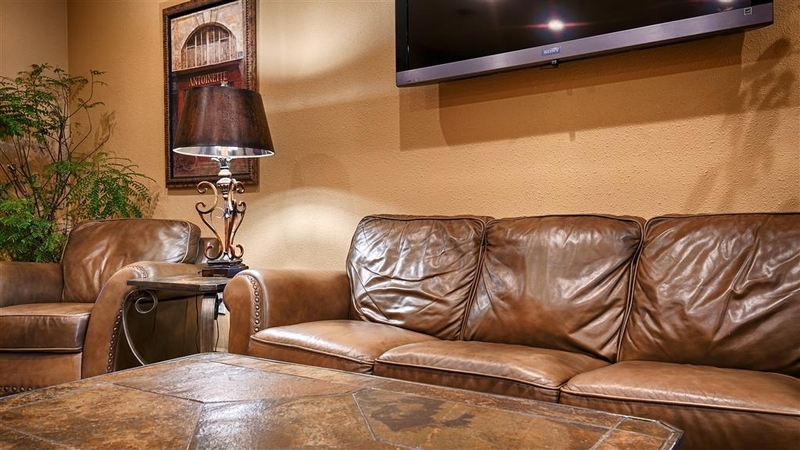 We stay with a fairly large group, and have always enjoyed our stay. "Great place when Austin in full (during SXSW, ACL, etc.)" 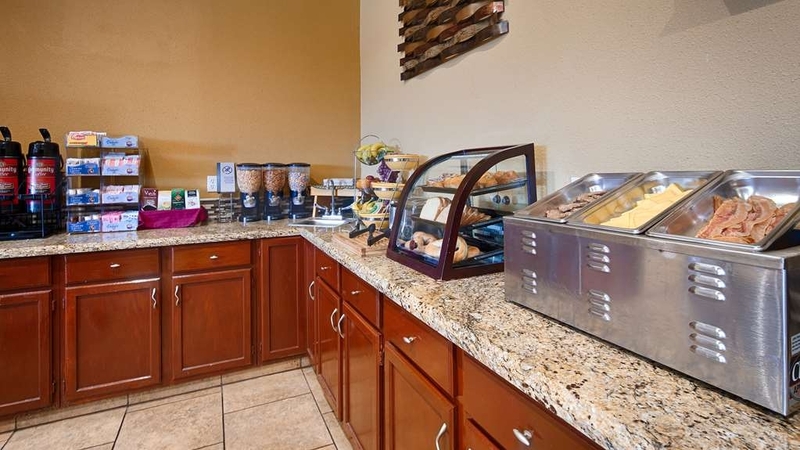 We needed a place near Austin at the beginning of SXSW, and this hotel is close enough to convenient but far enough away to be quiet and more reasonably priced at busy times. Everything was clean, and service was friendly. Rooms are a little small, but comfortable enough.